Portland is such a great art and food scene. If I ever had the heart to leave the Bay Area, I would probably live in Portland. 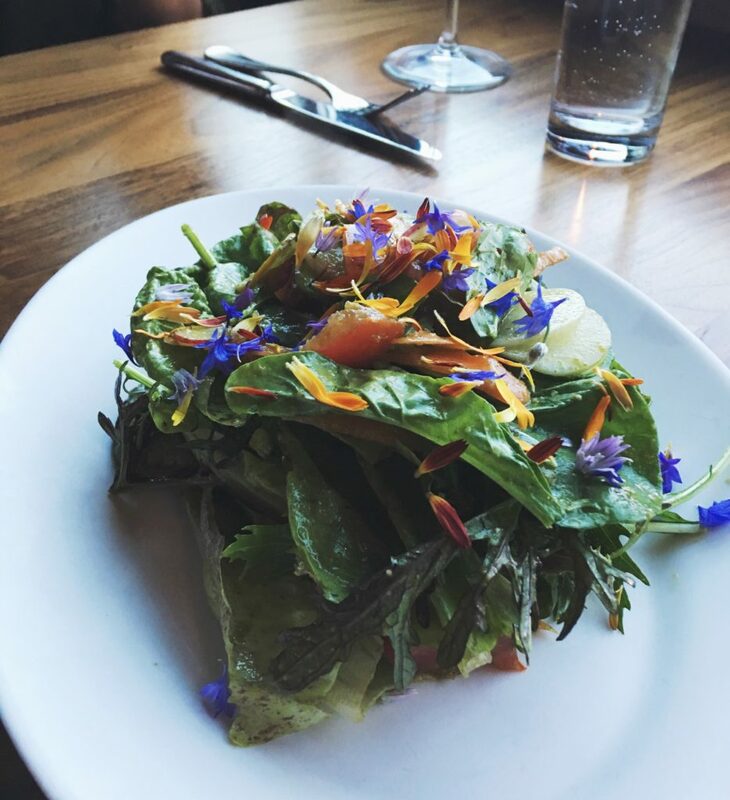 I’ve visited Portland a handful of times and I always find a new place to eat and fall in love with. Now this list doesn’t include any Portland food trucks, which is a totally different animal in itself. 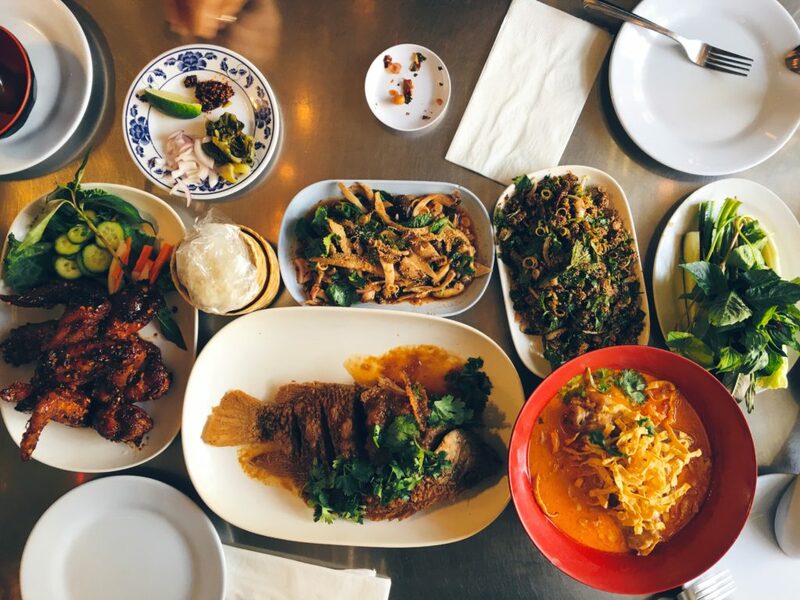 Pok Pok is a bit of an institution in Portland. 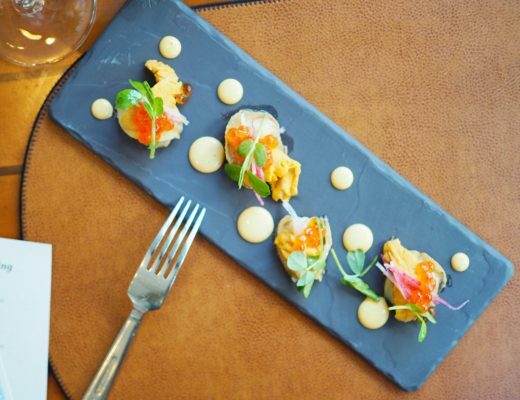 With over 4000 reviews on Yelp, it’s one restaurant you must try when visiting Portland. As someone who has visited Thailand, the authenticity of the flavors and style of cooking is present. The fusion of Vietnamese flavors is something that gives Pok Pok an edge. We ordered: Khao Soi, Vietnamese Fish Sauce Wings, Laap Plaa Duuk Yaang Isaa, Deep Fried Tilapia, and Mushroom Salad as pictured above. Simply amazing! It can get crowded here during peak hours, so I recommend coming when the restaurant first opens for a no wait experience. Cheese & Crack Snack Shop in Portland. 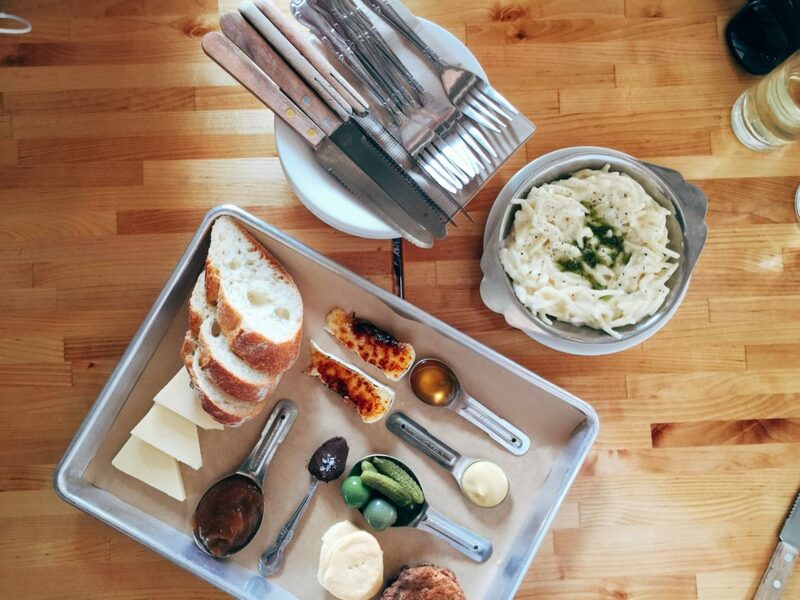 Cheese & Crack Snack Shop is a great stop for happy hour with friends. The presentation is a feast for the eyes as much as the taste is a feast for the stomach. We got the Brie Brûlée plate, Macaroni & Mornay, and Sweet Cream Soft Serve with Chocolate Ganache. For wine, we got the house red at only $5 a glass. There’s not much seating, but happy hour didn’t seem too crowded and we were able to find a spot. Happy hour is from Monday to Friday at 4-6pm. Pip’s Original Donuts in Portland. 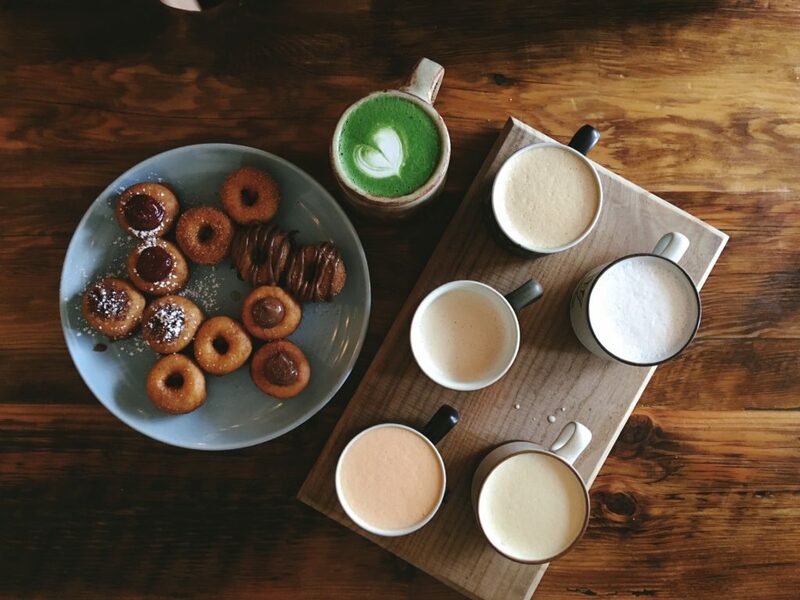 We got a dozen mini-donuts, two of each of the flavors they offer: Raw Honey and Sea Salt, Cinnamon Sugar, Nutella and Sea Salt, the Dirty Wu, and Seasonal Strawberry Rhubarb. My favorites were the Dirty Wu and the Nutella and Sea Salt. All the mini-donuts were warm and perfectly crispy and sweet. The chai latte flight is also a delight: Smoky Robinson, Ginger Rodgers, King and I, Heart of Gold, and Emmylou. I prefer Pip’s Original Donuts over VooDoo Doughnuts or Blue Star Donuts. Ruby Jewel Ice Cream in Portland. Wait, not Salt & Straw?! Yes, Salt & Straw is amazing. The long lines at any time of day are a clear indication of that. However, I want to highlight another great ice cream shop in Portland. 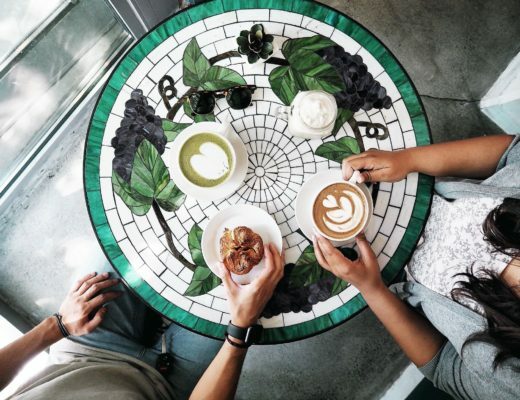 Ruby Jewel is nested in downtown Portland and offers a variety of flavors as well as daily specials. 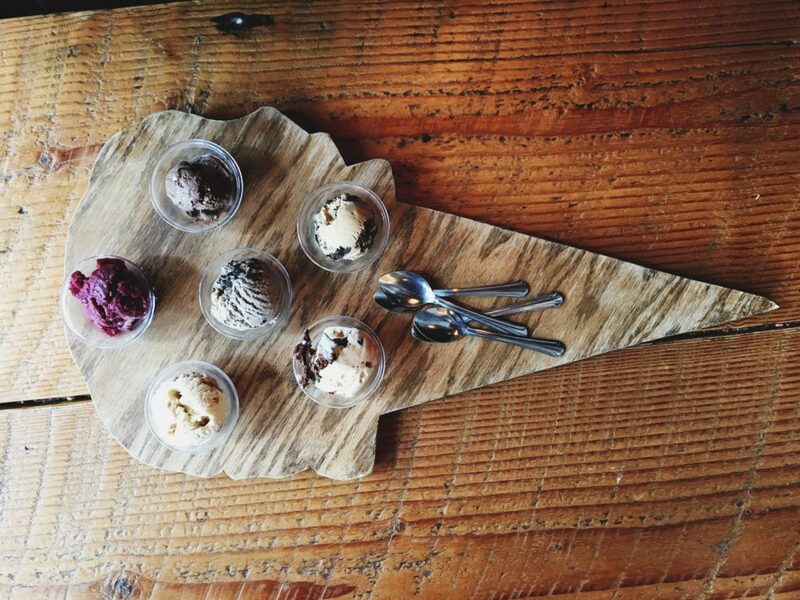 There ice cream is hand-crafted daily with ingredients sourced locally in Northwest. 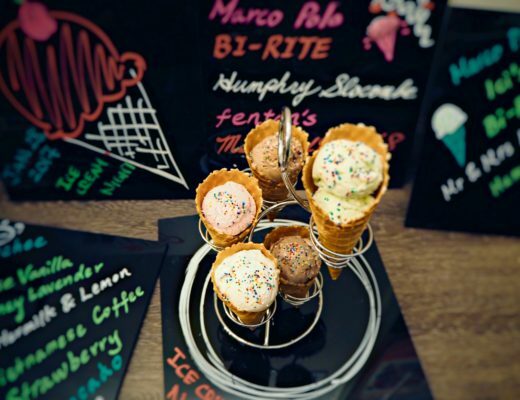 The ice cream flight pictured above gave us a chance to try 6 different flavors. My favorites were cookies & cream, honey lavender, and blueberry sorbet. The friendly staff are helpful and can give you a sample if any flavors stand out to you. Noble Rot is a unique wine bar and restaurant located on the fourth floor of the building. They grow their own vegetables on their rooftop garden. The roof salad (pictured above) is a perfect example of this. We also ordered the cheese plate, some white wine, macaroni & cheese, and New York strip steak. The time it took for the food to come out was a bit of a wait, but once the food is delivered to your table you realize it is worth the wait. Ask the host for a table near the window for a great view of Portland.